Begin with the end in mind, Stephen Covey said. Define your Definite Chief Aim and read it everyday as instructed by Napoleon Hill. I asked myself this question many times over recently. I had one many years ago but I guess things didn’t exactly go according to plan. 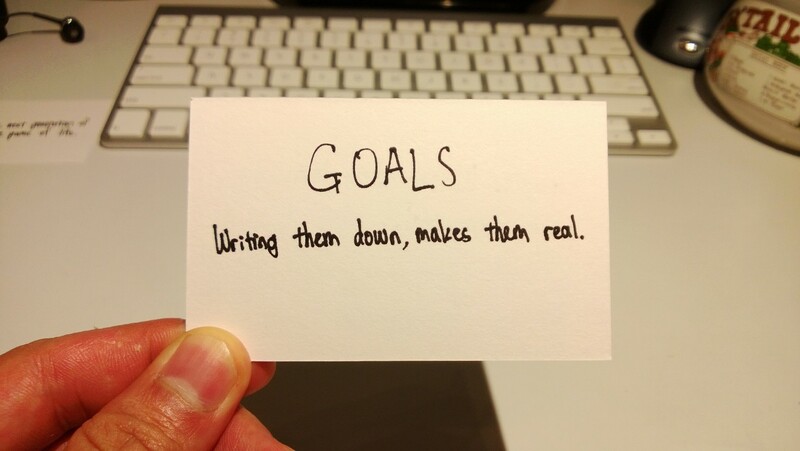 So is setting life goals pretty pointless? As what one of my friends put it, is it just a way of just setting yourself out for disappointment? Well, no one can really guarantee you the future, but putting a stake down in the ground and marking your way forward will probably get you a lot closer to where you want to go, as compared to wandering around in circles. And more importantly, without a goal you can’t score. When nothing’s for sure, anything can happen. Have a rough plan, figure out the details along the way. So what’s my goal in life? What’s my definite chief aim? Well I have my pen and paper in front of me.